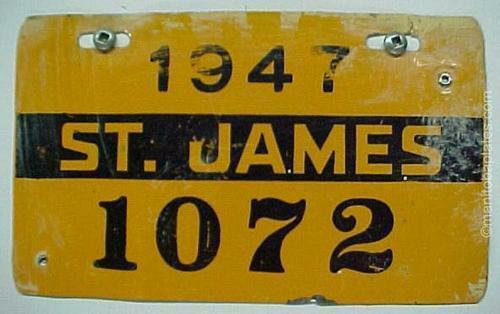 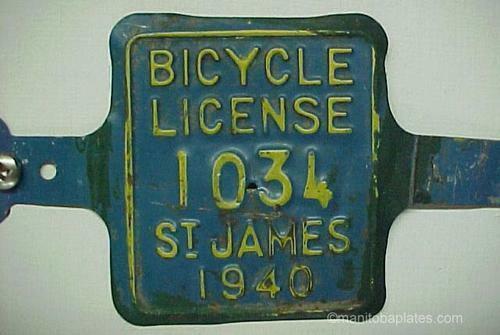 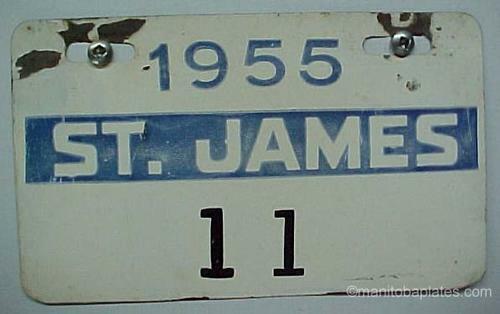 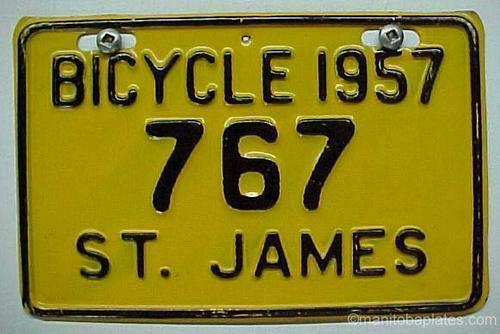 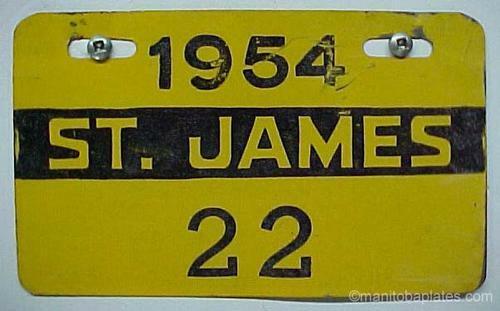 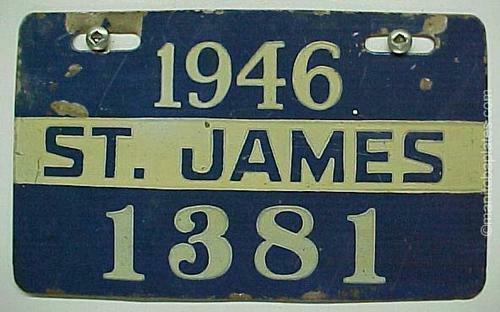 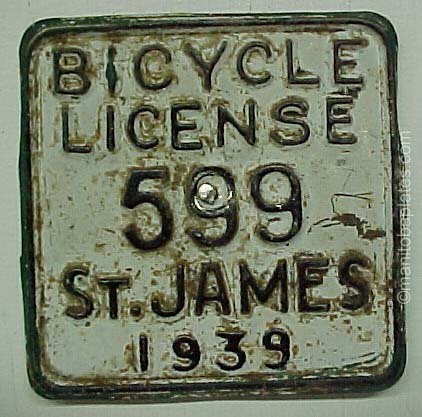 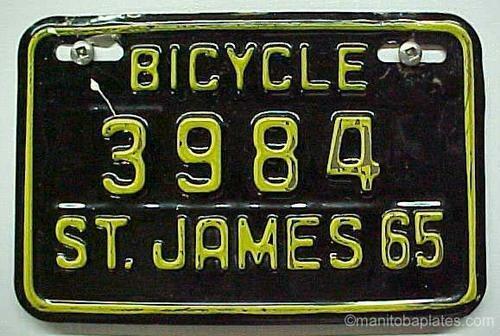 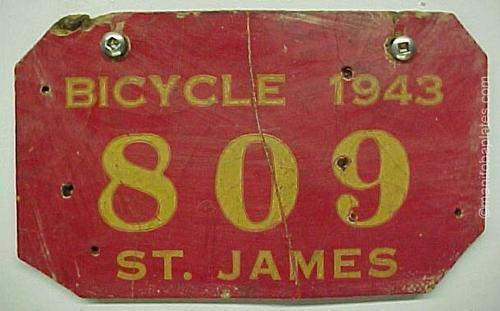 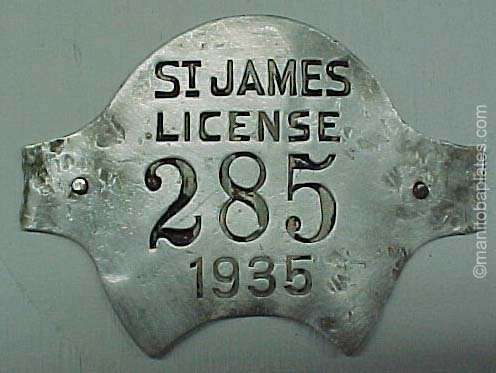 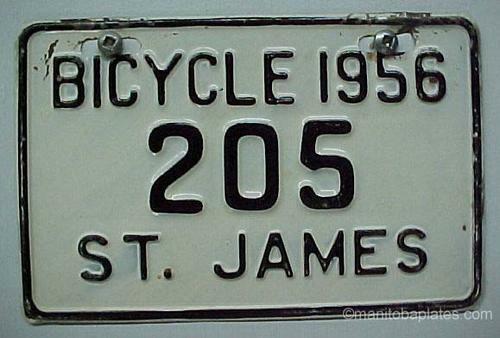 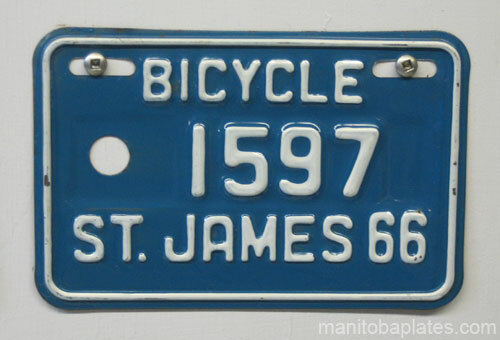 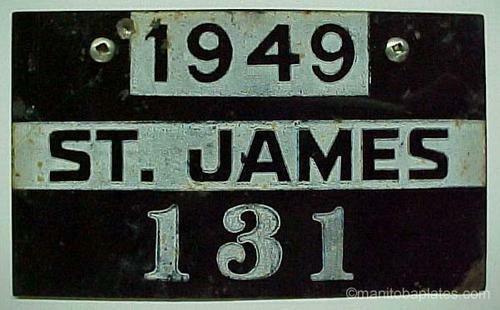 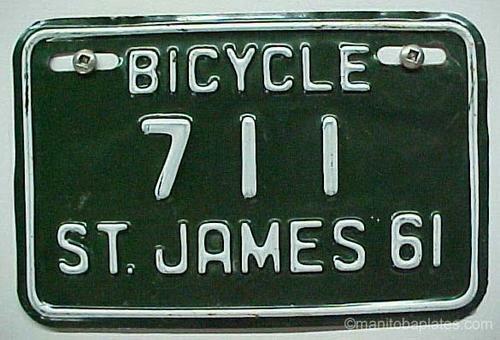 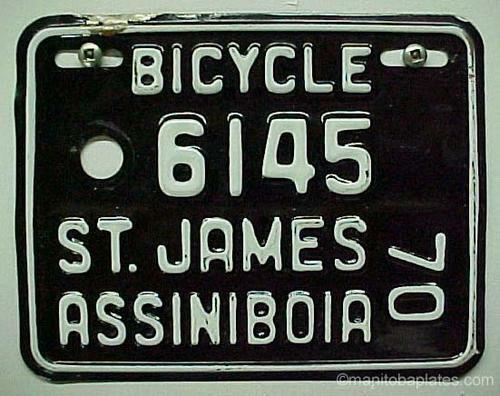 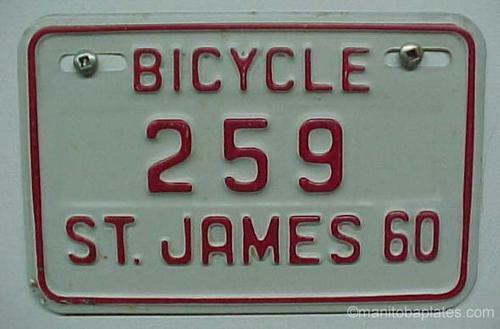 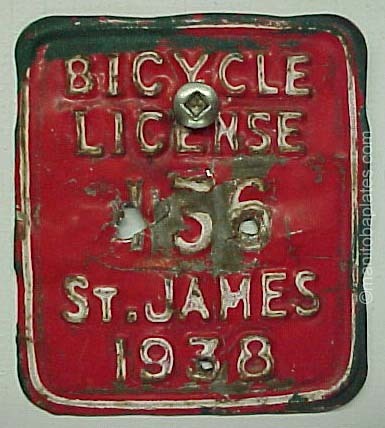 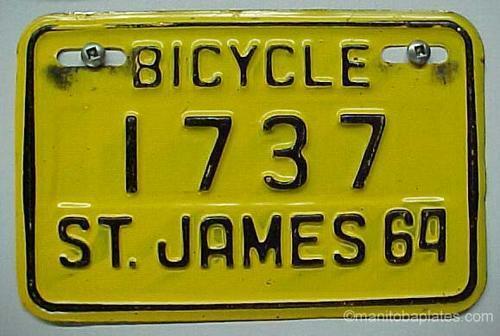 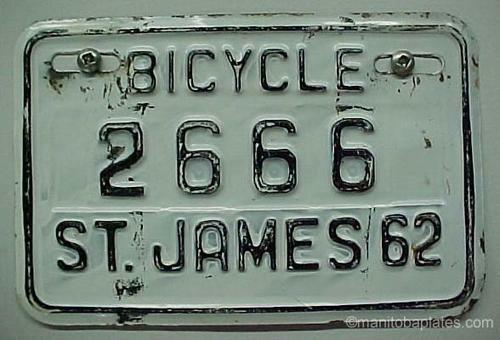 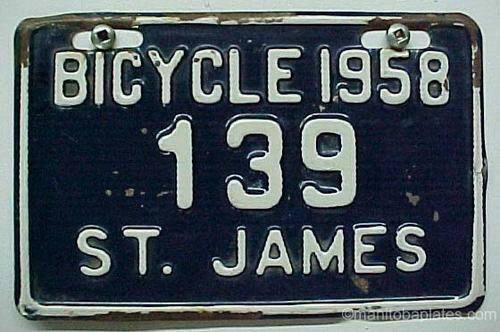 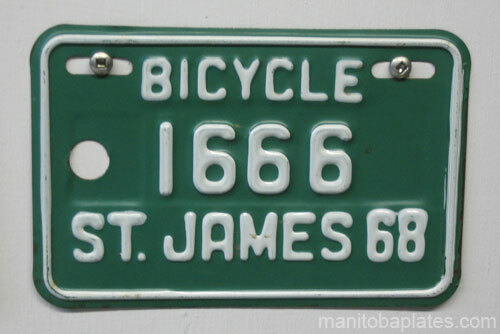 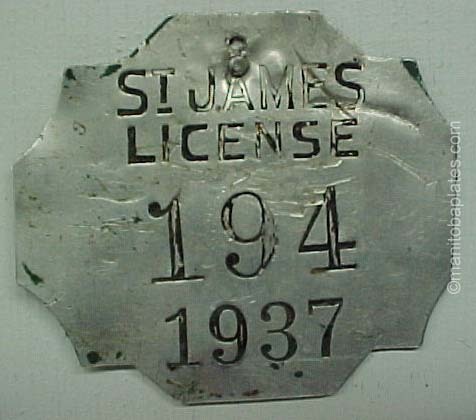 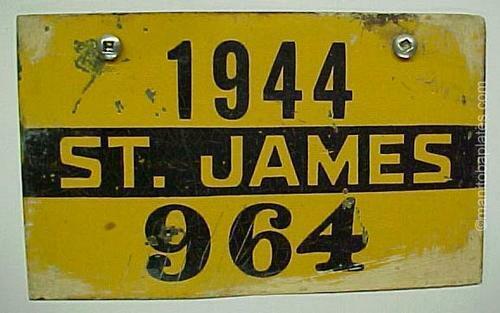 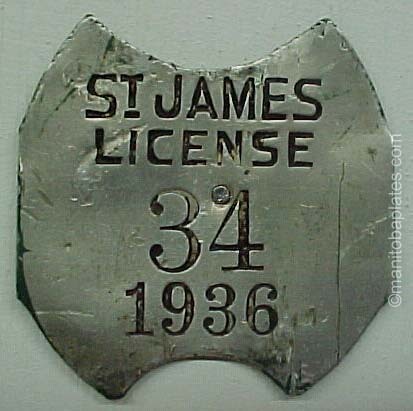 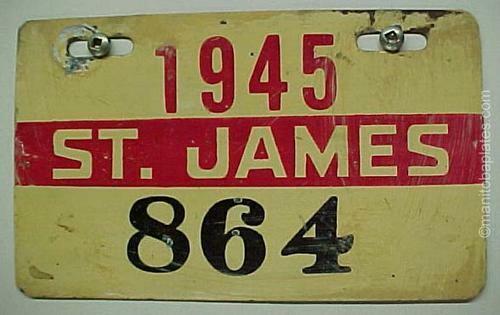 License plates were issued from 1935 until 1972. 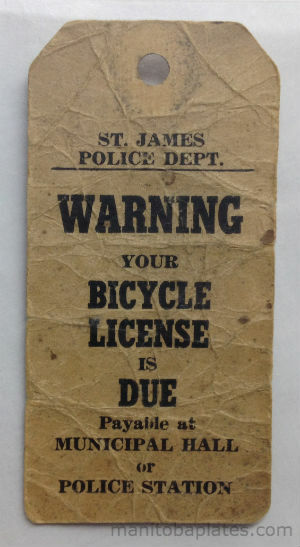 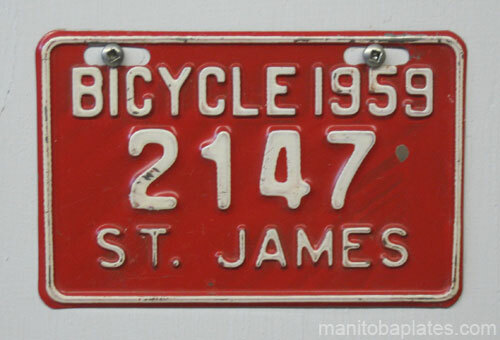 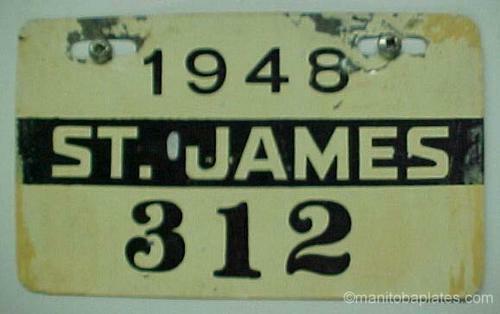 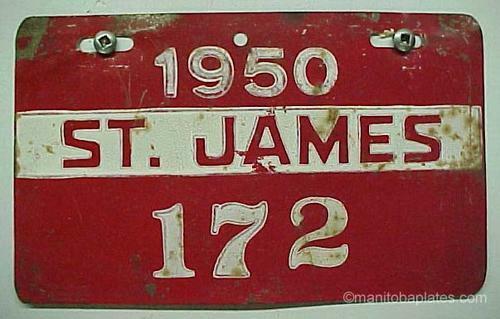 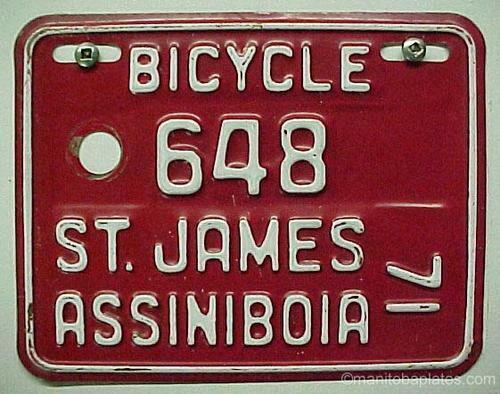 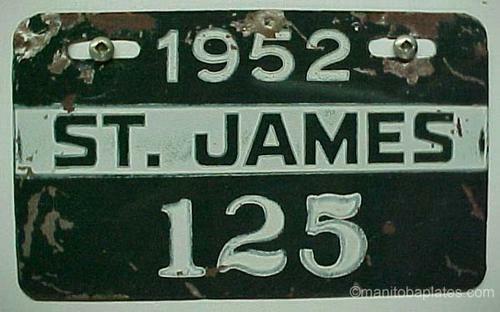 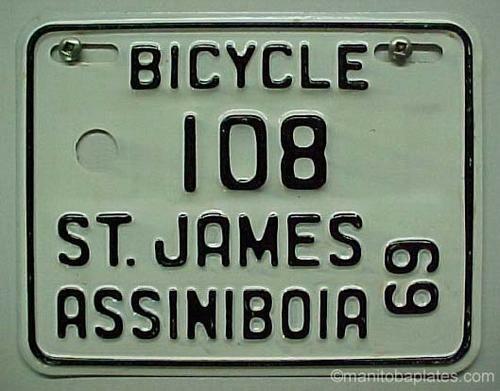 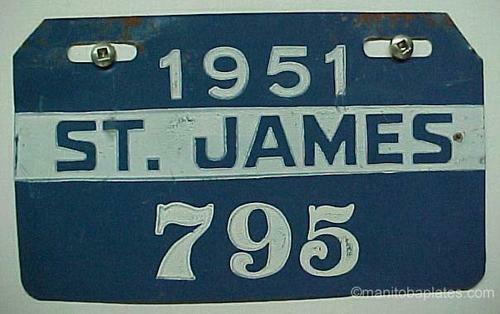 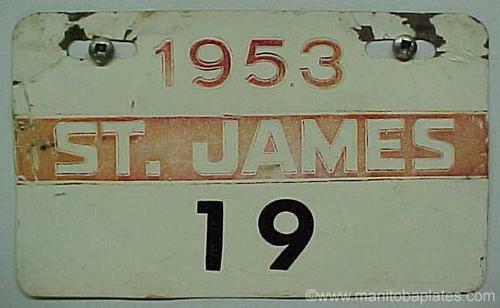 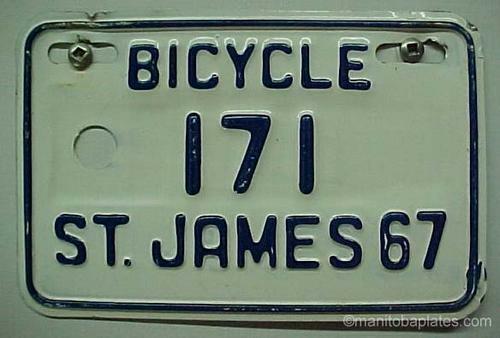 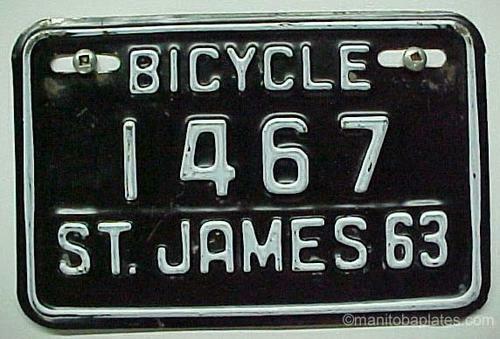 I was raised in St. James, a suburb of Winnipeg, which until 1973 was a city unto itself. 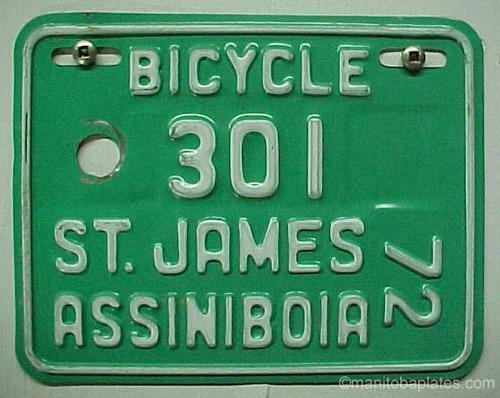 Many suburbs around Winnipeg were independent cities until 'Unicity', which amalgamated all these small cities into one big city, Winnipeg.